← Exactly When Was Jesus Born? Not on December 25. I am no prophet, but I have been telling people for some time that the establishment will not let Ron Paul win this election and they will resort to whatever means necessary to stop him. Too many people have too much of a financial stake in the status quo of the paper money/welfare/warfare/police state. 1) The Virginia state legislature is being pressured to rewrite the rules to get n00t on the ballot even though he did not have enough signatures. I am getting physically sick over this. I am not the only person who thinks the dumbos may very well have another candidate waiting in the wings for the right time to step forward. It is going to be ugly … in a very big and blatant and in-your-face sort of way. Thank you to Alexander Law for this. To everyone in Ron Paul Nation: I am very thankful to have you in my life. 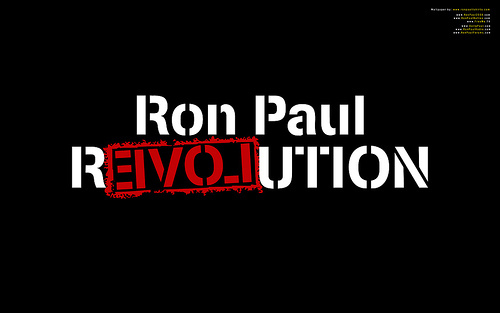 And if you truly understand the Ron Paul R3VOLution, you know that it is not his revolution, but it is yours and mine. Don’t get ill over the machinations of the enemy; we need you to stay healthy and keep in the fight. God will win in the end. Be strong and confident; we are in the right and are serving God, not the State. “What is important… is the totalitarian claim of the State on the individual which forces him to renounce his moral and religious obligations to God.” ~ Peter Graf Yorck von Wartenburg, speaking at the kangaroo court trial of the conspirators who plotted to kill Hitler and overthrow the Nazi government. They executed those men, but look who won in the end! Their courage was not wasted; neither shall ours be. Hang in there and keep up the good work, as well as your health and spirit! I first supported Ron Paul in 1988 as a libertarian for President and continue to do so today (albeit for a party I have little respect or interest in). But I agree that the status-quo will do anything to prevent him from becoming there Republican nominee and this will be his last run for the presidency considering his age. At this point his ideas are gaining in popularity amongst peoples that both the Republicans and Democrats want to retain under their banners. After it’s decided that the Republicans are not going to nominate him, will he calmly retire to Lake Jackson away from politics if not remain a libertarian leader? Are will he take his candidacy, the momentum of support he has gathered into a third party asking his followers to come along? He has gained considerable political capital with a support base that I suspect will not fall easily for the party line to rally around Mr. Romney at day’s end. 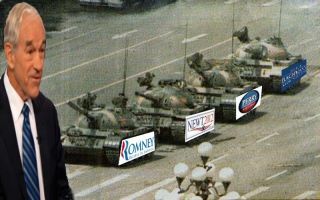 I wonder what the Ron Paul faithful will do when the Republicans ultimately cast Dr. Paul and his ideas aside? I, for one, will vote for the libertarian candidate as I have done in every national election since 1988 or not vote at all.